Bob Blumer, aka Surreal Gourmet, aka the guy in the toaster mobile, the guy in the show Glutton for Punishment is in Singapore. 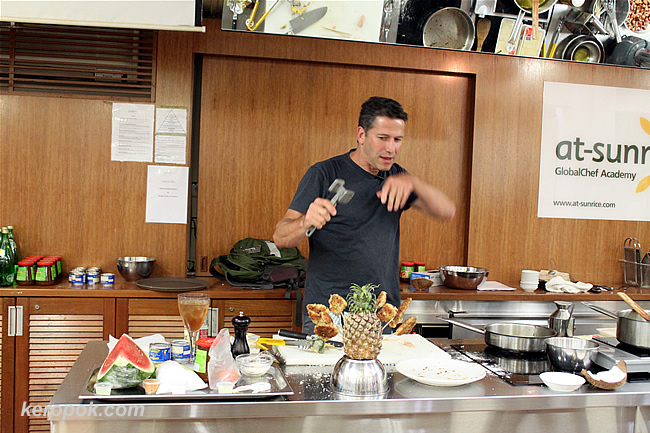 I was fortunate enough to attend his cooking worshop. Did you try any of his dishes? Lucky you, Keropokman! So what did you learn at the workshop? Any tasty foodie to share with us here?